What do you do when you run out of options for Breakfast any day ? Well, I go for a nice Toast with either Scrambled Eggs or Omelette. At least once a week, me and hubby enjoy this fuss free easy meal when the lazy bugs are hitting us badly on weekend evenings specially. 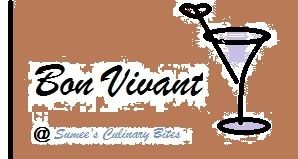 But what happens when this quick fix meal converts into a really luxurious and cherished one. That happened with me a few days back, I was looking at the Fridge on a Fri eve to check my Grocery List for the weekend. And saw boiled potatoes, some bread pieces and eggs in the leftover section ( OK ! Now don’t smile .. I actually have one Leftover section, I keep shuffling my Fridge every two days .. I know that’s insane, but its just second nature to me now ) ..
Anyways, so I was checking on these things when I thought of making potato sandwiches the next morning for breakfast, and then I thought of infusing the potato stuffing with garlic and then I thought of adding some potatoes mash in Scrambled eggs along with the Sandwich and then….. OK OK So finally I decided to stick to Garlic toast and scrambled eggs both with Mustard Potato mash. And to my surprise, the idea worked really well.. all the ingredients complimented each other so wonderfully, I was afraid I won’t overdo the flavours but it was just perfect. So you see, its still not a time taking breakfast option. Just requires some preparations the night before and it took me around 25-30 min to get everything done from scratch to plate. 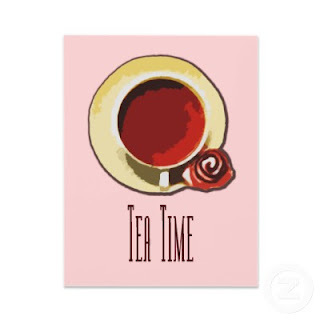 Not to forget, along with the morning tea as well. Considering that, it’s still a quick fix meal for me. Try this for sure if you love garlic or Garlic breads or eggs or potato mash.. 😀 Anyhow just give it a try , trust me, you wont be disappointed. Preheat the oven at 180 deg. Prepare Potato Mash first of all. Peel and mash the potatoes with your hands or potato masher. Heat the butter in the pan, and roast minced garlic at low flame till it turns light brown. Make sure to keep the flame low to get it evenly roasted. Add mashed potatoes in it and mix very well so that butter coats the potato good enough. Add milk and combine well. Then when it’s almost cooked ( will take 2-3 minutes on medium flame ), add Mustard paste and again mix everything quite well. At last, add salt ( if you want ) and black pepper and keep it aside to cool down a bit. This will yield in almost 2 cups cooked potato mash. Before we get our sleeves up for Scrambled eggs now, let’s place the bread inside oven. For that, spread the Garlic potato Mash on the bread pieces evenly and generously. Sprinkle the dried herbs over it and keep in the oven for 7-8 minutes. Meanwhile, prepare Scrambled eggs now. Heat butter in the pan and saute onion till brown. Whisk eggs along with salt and milk for a minute to get it a bit frothy. Add the whisked eggs to the pan and combine with potato mash . Turn off the flame and keep uncovered while our garlic breads are getting baked. Serve both the things together hot with tea or coffee !! You can also prepare the scrambled eggs without the Potato Mash, I just did it for the experiment which turned out well. Milk keeps the scrambled eggs creamy and hence you will not require a lot of butter to maintain the smooth texture. But be aware to finish it while its still hot if you will keep it to rest, it will releasre water. You could leave the eggs and only prepare garlic potato toast as a snack instead of the sandwiches. Usage of butter is highly recommended, although Olive oil should work too. Try and stick to wholewheat bread for this to enhance the nutritious value and it also provided extra crunch. I added some chopped cilantro leaves on scrambled eggs and sprinkled parmesan cheese on Garlic breads. You can choose to do that or skip it. This toast makes me hungry !! looks superb and tasty one !! 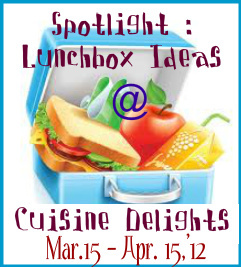 My Monthly Event – Spotlight : “Lunchbox Ideas”. Thanks for linking my event. easy and healthy break fast.. looks very yummy..
dats a nice idea to enjoy scrambled eggs and toast…very creative…luvd it…thnx for linking to my event dear !!! yummy n awesome toast dear…….amazing dear…. umm.. nice and toasty breakfast option. Liked the variation to scrambled egg. Thnx for linking it up. A filling and healthy breakfast..